France – Our customer is a global chemical group whose products serve diverse markets such as energy and environment, automotive and aeronautics, electricity and electronics. They have a common goal: to improve the performance of clients and society’s quality of life, through sustainable chemistry. 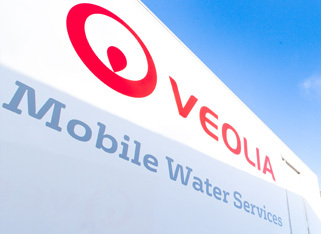 Needs Veolia’s Mobile Water Services received an enquiry from our customer, in July 2014 regarding the possibility to rent a mobile unit whilst seeking to replace their current water demineralised system, which was not working to its usual high specification The final capex investment of an new permanent facility has been approved to be commissioned by Veolia later this year. In the meantime our customer has been able to acquire mobile water assets for temporary mobilisation whilst the plant is being built.